Angdoom is a level generator of iD Software's legendary game DOOM. 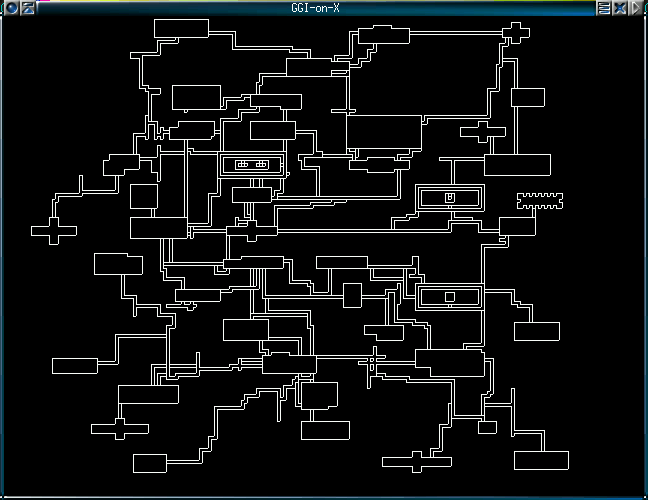 It is a port of the dungeon generator used by the roguelike game Angband. See above for a sample. The purpose of this program was primarily a proof-of-concept to see if the random dungeon level style of playing that typifies the "roguelike" game genre would actually be interesting in the style of a first-person shooter. I belive the answer is yes, in fact, it is. However, you'll have to decide for yourself... Here is an example level. You need Doom 2 to play it, and this replaces MAP01. The source is angdoom-0.1.tar.gz. Note that you'll also need a BSP generator to process the resulting WAD file, such as the program included with LDE.